Now nobody has any doubts of fact that photography is distinctive kind of art, standing on one row with painting, sculpture, graphics. It can be part of all arts and define the environment. This art is not so ancient, but also attractive to us as others fine arts, that fill our life and save its amazing moments for eternity. So it was not always.. Before photography became the aesthetic phenomenon, it had passed its way from from discovery, experiments, curiosity, vulgarity, utilitarianism to the beautiful unique works of photo artists. First of all, the figure of a painter, an experimenter, a talented photographer stands behind it. 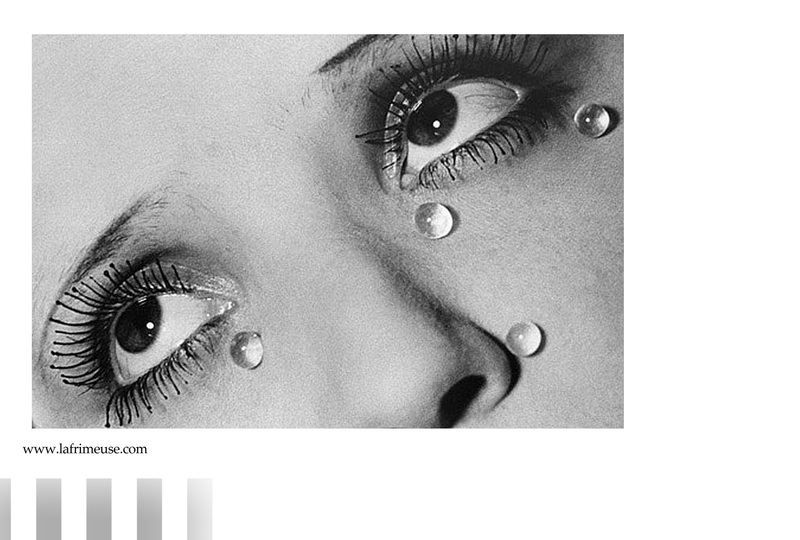 Known to the world as a classic of photo art, Man Ray, considered himself his entire life as a painter. 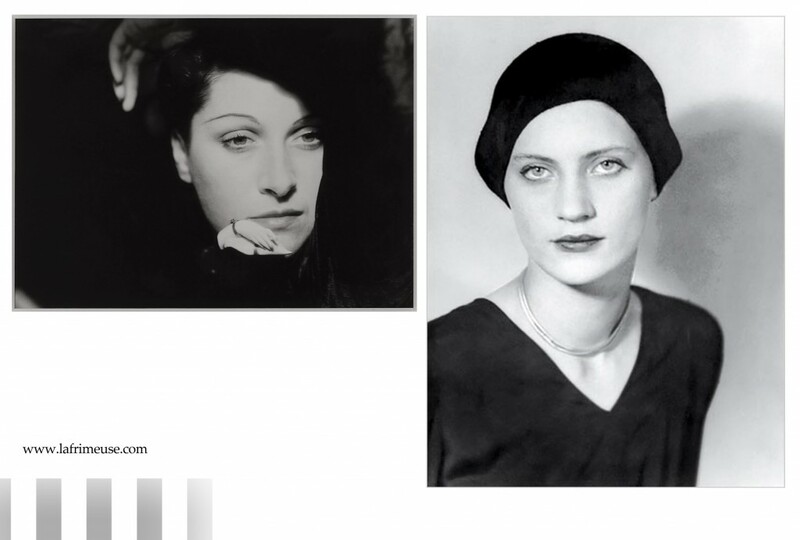 The son of Jewish immigrants from Russia, Man Ray, real name Emmanuel Radnitzky, (August 27, 1890, Philadelphia – November 18, 1976, Paris) is one of 25 the most famous phographers in the history of arts. The surname of the future artist’s parents was changed after moving to America to avoid anti-Semitic sentiments in then society. Since childhood, he was fascinated by the works of old masters, studied their art. He received a scholarship architecture, but chose painting. But life, so it’s remarkable thing that your fate is not always determined by you. 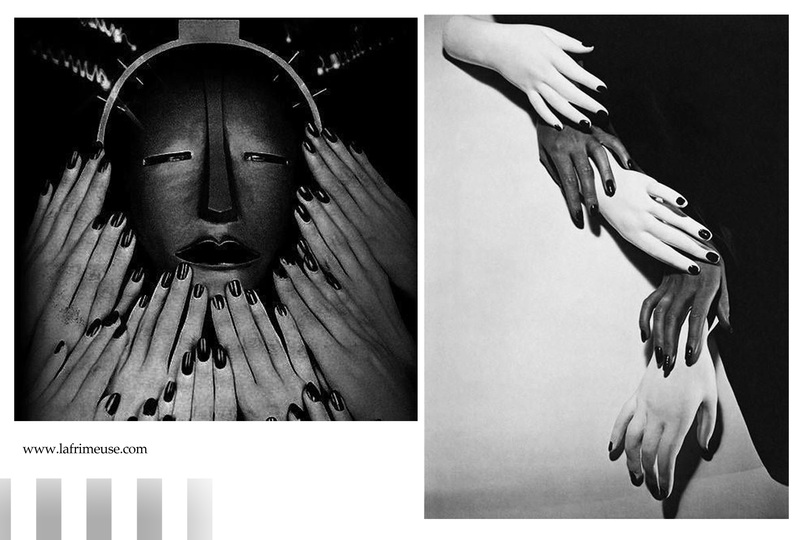 So Man Ray entered to the history of arts as one of the genius photographers. Man Ray was the only american who was in the group of Dadaists in Paris, an avant-gardist, an experimenter, did a lot for his career. 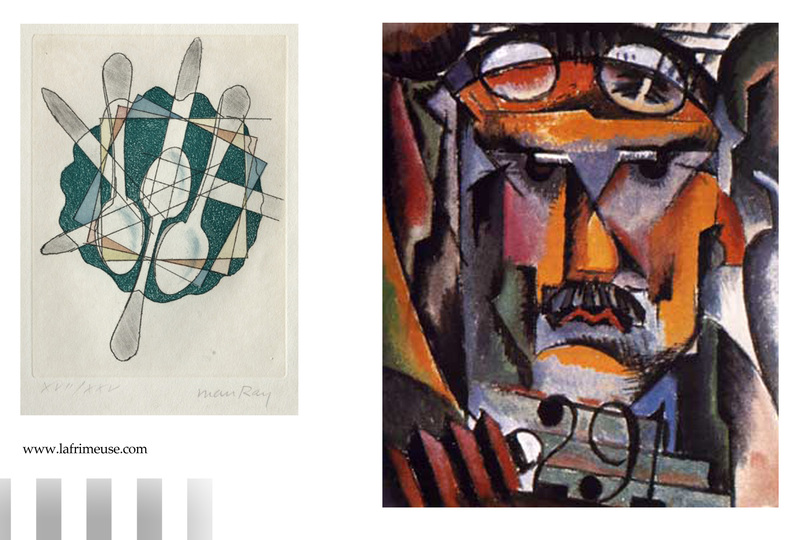 At first he tried himself in cubism. Further, he felt under the influence of Alfred Stiglitz, a well-known photographer, he began to develop with his friend Duchamp the “ready-made” direction, when the utilitarian subject, almost unchanged, became an art object. Man Ray, with his friends Marcel Duchamp and Francis Picabia, founded the New York branch of Dadaism. In 1920, they released the first and only issue of Dada in New York. In 1921 he moved to Paris, where the influence of Dadaism continued. 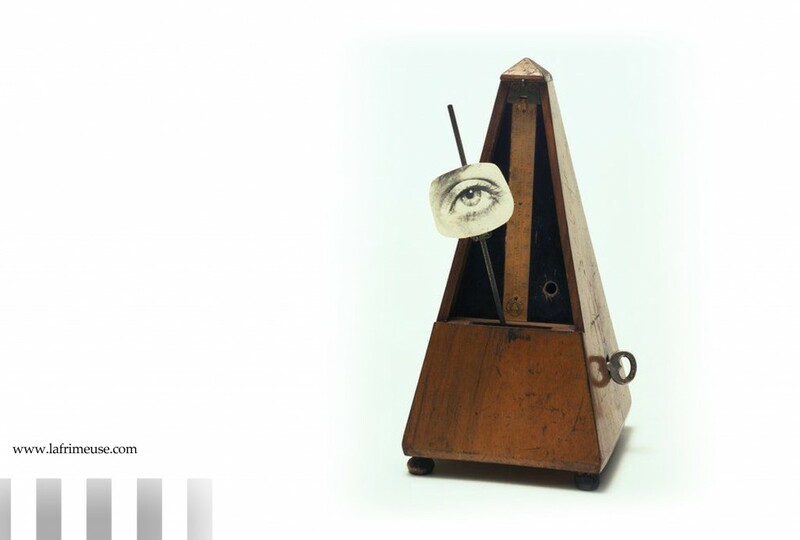 In 1923 he created the “Object for Destruction”, which was an ordinary metronome, on the pendulum of which was attached a clip of a photograph of a female eye. This early, assisted readymade (a found object slightly altered) was created a year before Man Ray left for France. 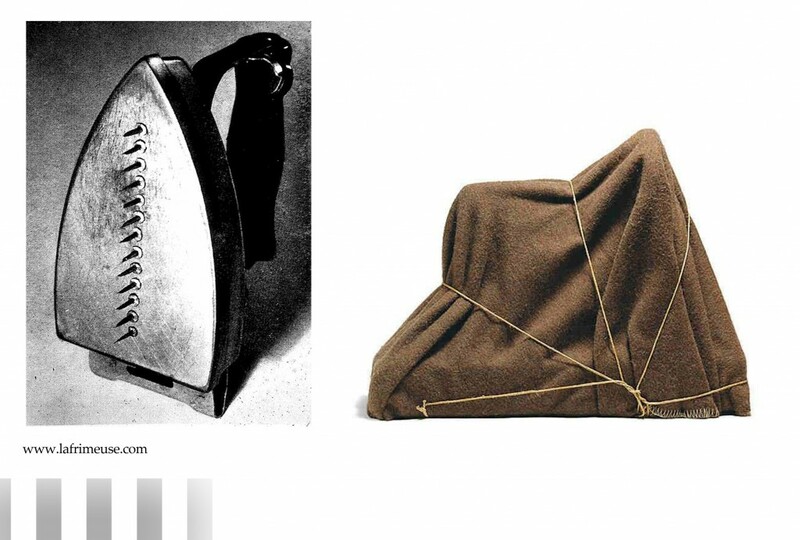 Marcel Duchamp’s influence and assistance are evident in this Dada object, in which a sewing machine is wrapped in an army blanket, and tied with a string. The title comes from French poet Isidore Ducasse (1846-70) and the imagery comes from a quote in his book Les Chants de Maldoror (1869): ‘Beautiful as the chance meeting, on a dissecting table, of a sewing machine and an umbrella’. Chance effects were important to the Dada artists, and the piece is very much in that spirit, but it also prefigures the Surrealists’ interest in revealing the creative power of the unconscious. The original object was created and then dismantled after the photograph was taken. Ray did not reveal the ‘enigma’ under the felt and intended the photograph as a riddle for the viewers to solve with the title providing a hint. 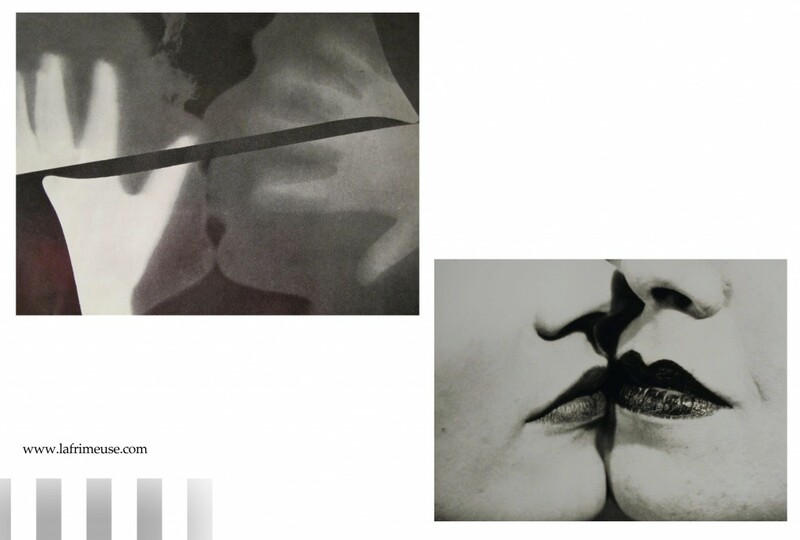 This piece was made in the afternoon on the opening day of Man Ray’s first solo show in Paris. It was intended as a gift to the gallery owner, the poet Philippe Soupault, and Ray added it to the show at the last minute. But the object received much attention and disappeared at the end of the opening. Another assisted readymade, Man Ray took a simple utilitarian object, an iron, and made it evoke different qualities by attaching the tacks. Hence the tacks, which cling and hold, contrast with the iron, which is meant to smoothly glide, and both are rendered useless. This is one of Man Ray’s earliest Rayograms, a process by which objects are laid directly on to a photo-sensitive paper then exposed to light. To create this particular picture, he transferred the silhouette of a pair of hands to the photographic paper then repeated the procedure with a pair of heads (his muse and his then lover’s, Kiki de Montparnasse). Thus a series of his remarkable photographs-rayographers appeared, the most famous of which was Kiss. 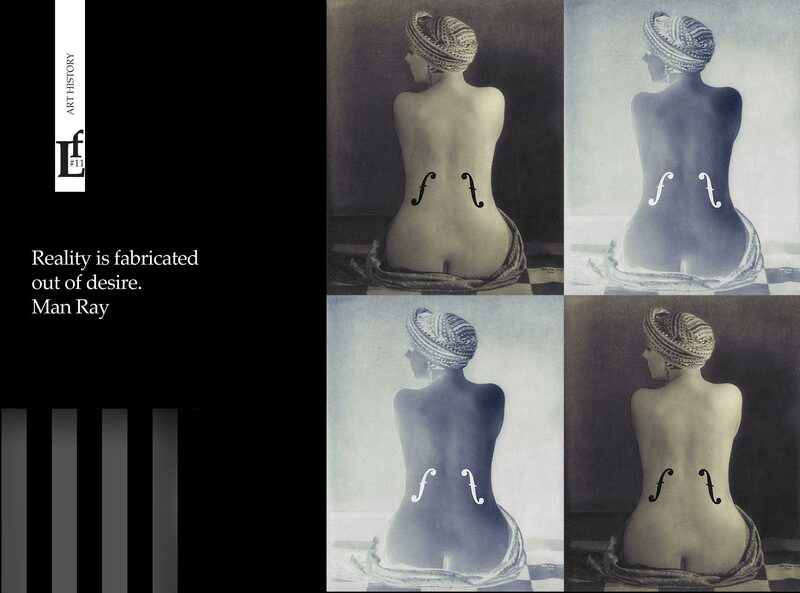 Man Ray experimented with another method known in physics as the Sabatier effect. 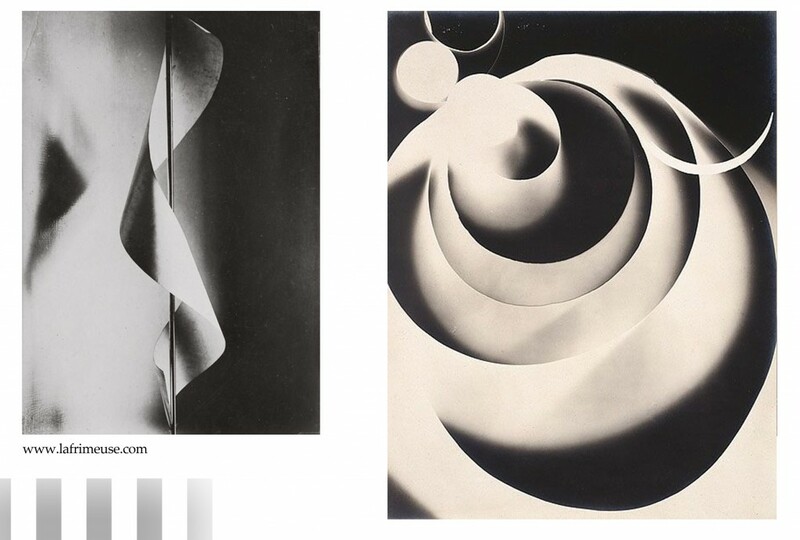 Man Ray was not a discoverer of it, but he was the first who was ablte to see in this method new artistic opportunities and is rightfully considered the first to open “solarization” for creating highly artistic and unusual photographs. The essence of the method is that if you overstate the negative, a bright black band appears around the object, tracing the object around it, which makes it contrast and silvery. 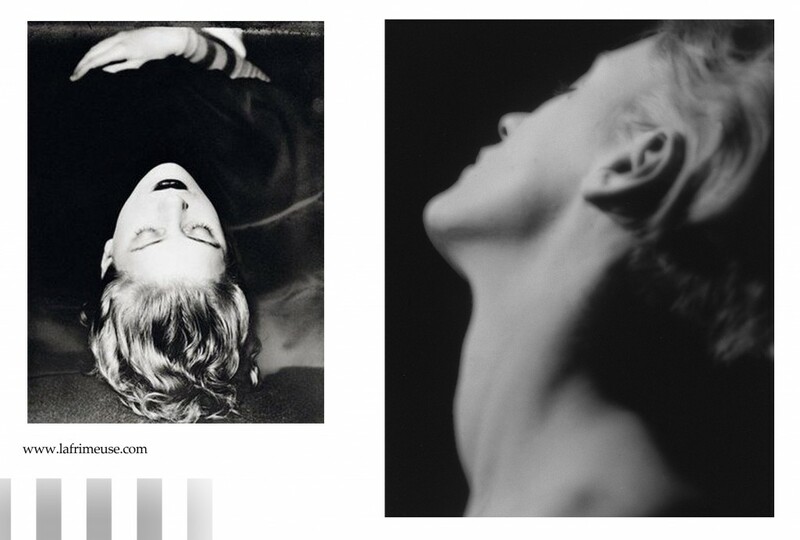 Women were the main story of Man Ray’s photos. Women are outstanding, talented, famous. Man Ray lived and worked for more than six years with the first muse and model Kiki, leaving a huge number of artistic images. 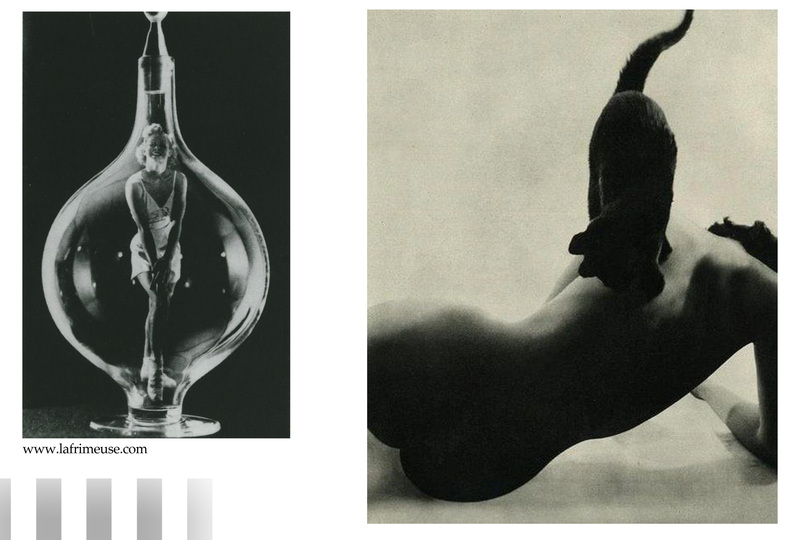 The series of photographies “Black and White” (1926), perhaps the most famous. 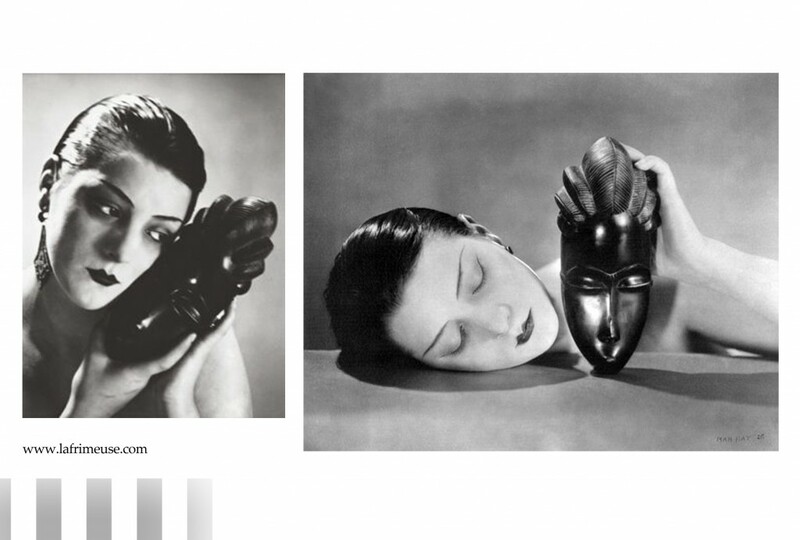 Man Ray attracted the contrast of Kiki’s white face and the black spot of the African mask. The femininity of the model contrasts with the mystery of the mask. Glass tears was a series created under the influence of personal experiences and the split with his next muse and student Lee Miller. 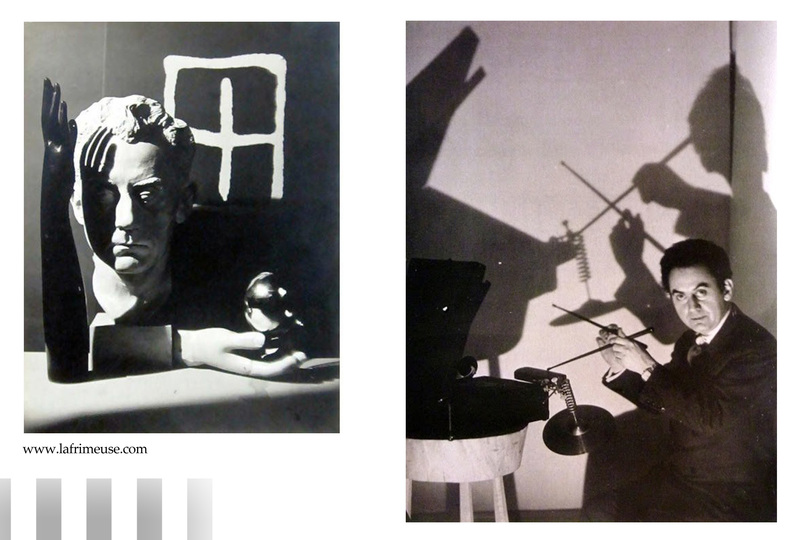 Man Ray considered himself an artist and was right. He was the creator in everything. His passion for self-expression gave him the strength to move forward, to experiment, to seek and find new ways of realizing what was planned. 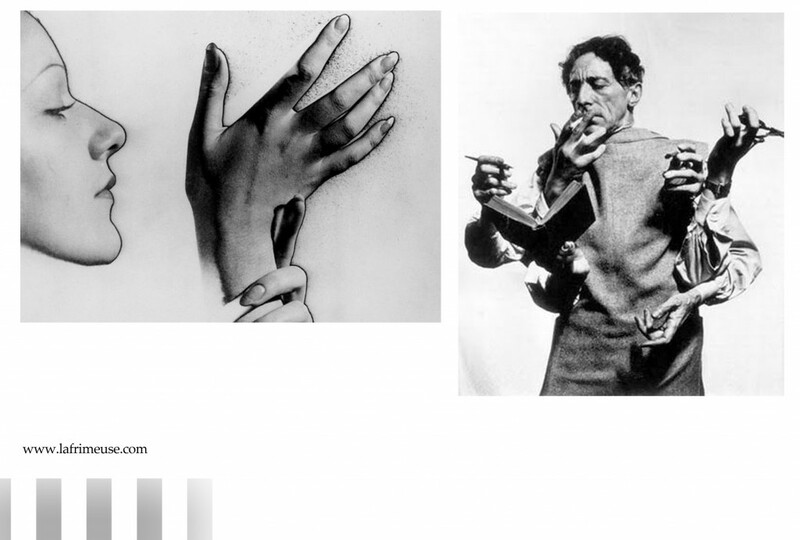 Man Ray’s experimental creative path was the only possible for him. He put the idea above the virtuosity of its execution. The process for him was more interesting than the result. He as a real rebel committed absurd things in his artworks , in terms of technology and technology. He mixed, still not miscible, broke all sorts of instructions, for example he used overdue film. 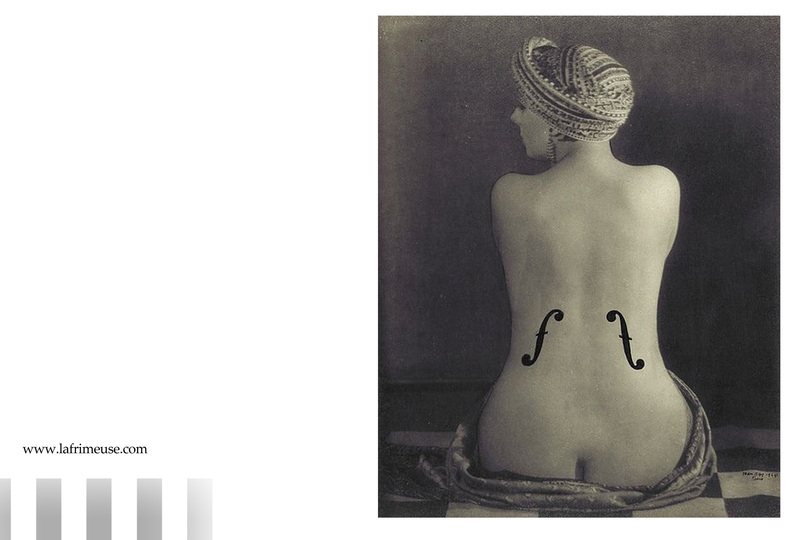 Man Ray had never been completely sure what he would get as a result. This was his uniqueness. “Of course, there will always be those who look only at technique, who ask ‘how’, while others of a more curious nature will ask ‘why’. 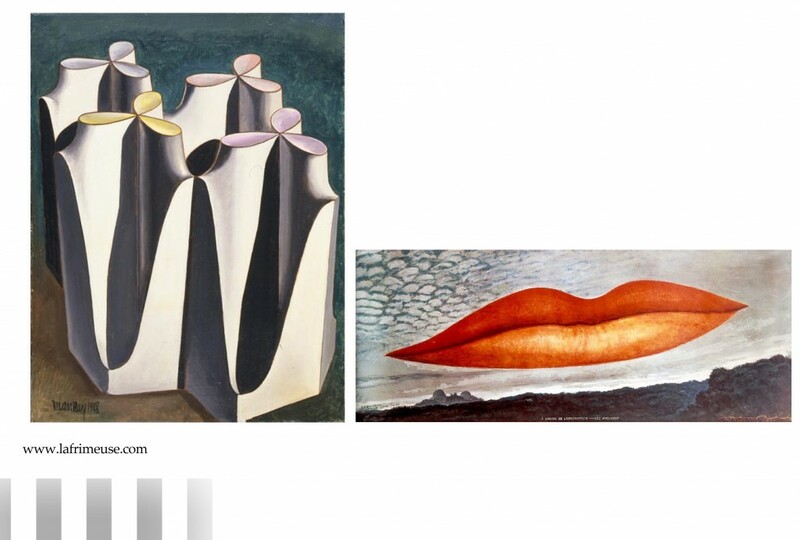 Personally, I have always preferred inspiration to information.” – said Man Ray. He erased the boundaries between art and utilitarian photography by his searches, , making it an independent artwork.